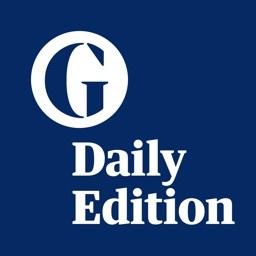 The daily digital edition of Britain’s best-selling quality newspaper, delivering unrivalled coverage across news, business, politics, sport and lifestyle. 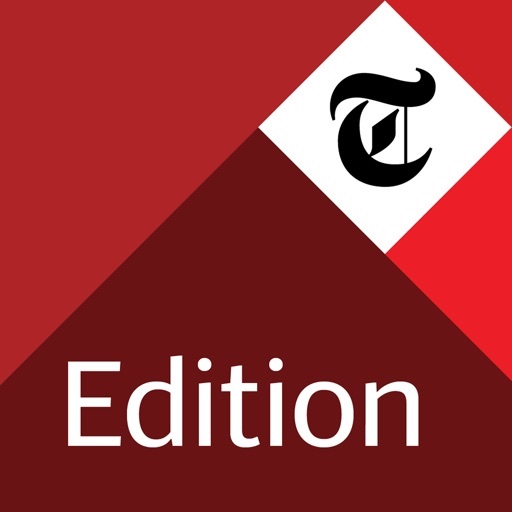 Brought to you by a team of award-winning journalists, the Edition app includes the full breadth of content you would expect from the printed newspaper including weekend supplements from travel, property and gardening, plus Telegraph Magazine and Stella. 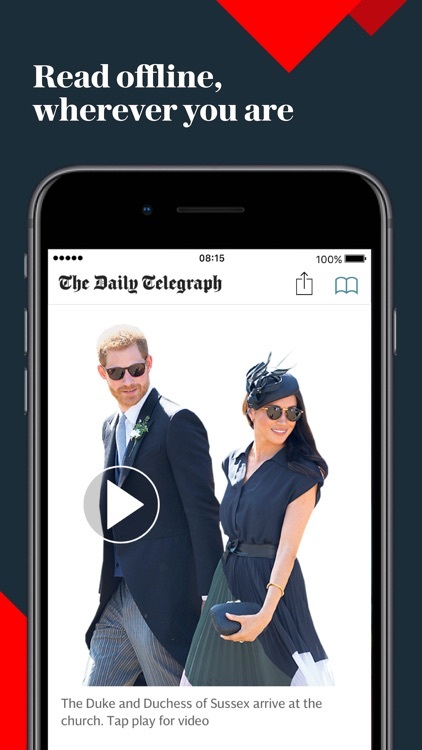 With enriched photo galleries and videos, as well as an interactive puzzles section, this easy-to-navigate app allows you to enjoy a smooth reading experience. 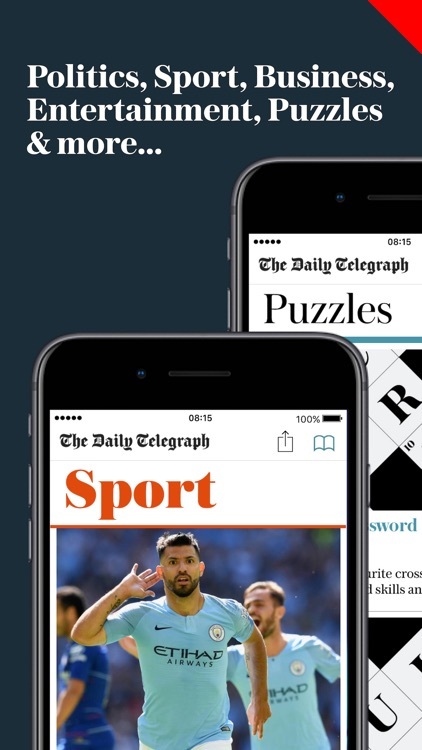 The app is compatible with iOS devices of all screen sizes so that you can enjoy our content and puzzles on the device that suits you. 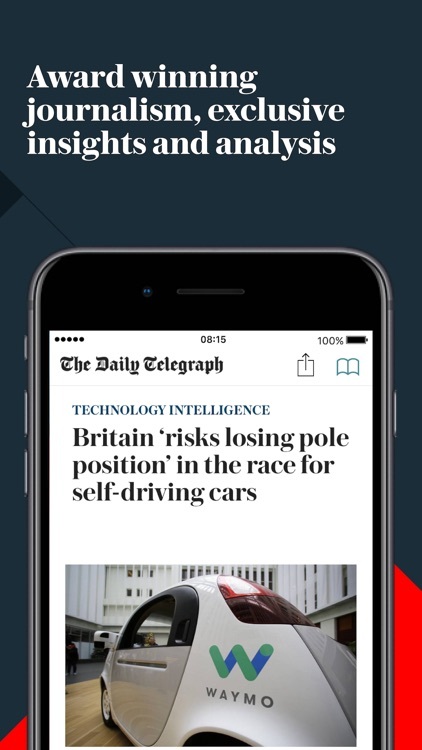 A new edition is delivered to your device every day at 05:00 GMT. 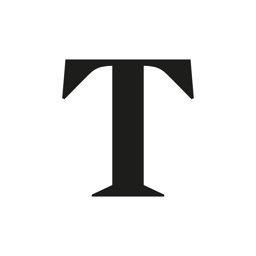 Once downloaded, each edition will be available for up to 28 days and full editions can be read offline. 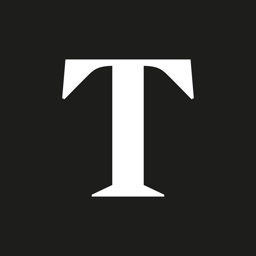 Features: News, Comment, Features, Obituaries, Business, Sport, Galleries, additional weekend supplements on Saturdays and Sundays including Gardening, Travel, Living, Cars and Property. 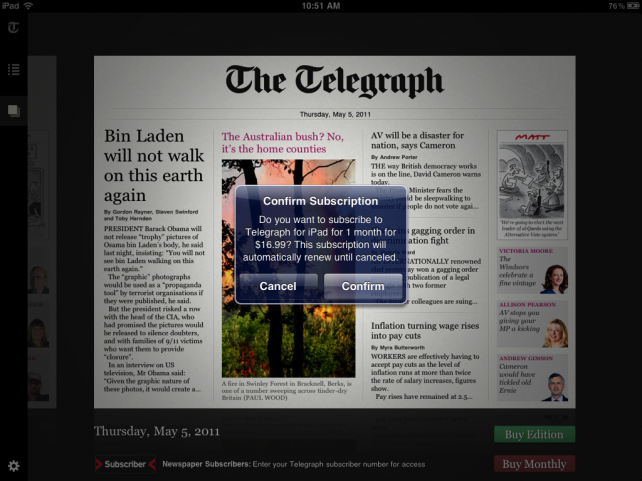 1) Monthly subscriptions can be purchased for £25.99 and these subscriptions will auto-renew until you choose to cancel. 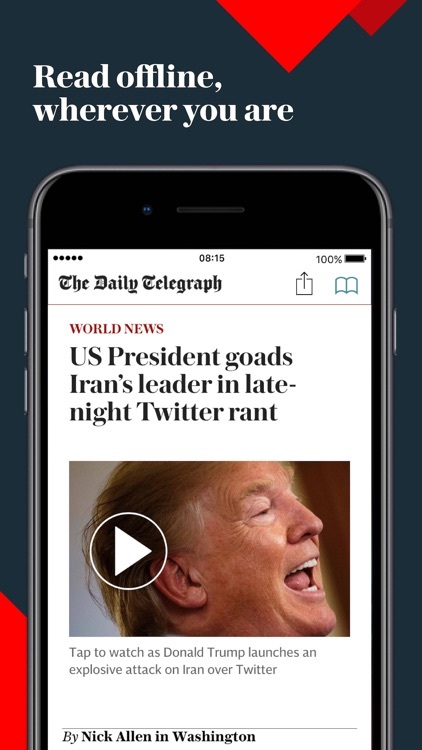 The Telegraph joins a growing list of publishers agreeing to Apple’s subscription terms. 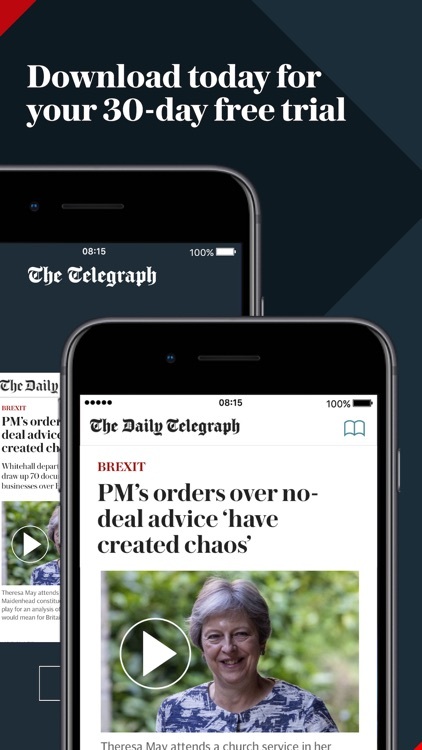 Beginning today, iPad users can download the free Telegraph for iPad app and purchase a monthly subscription for $16.99, or pay $1.99 for a daily issue. 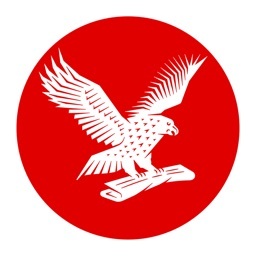 UK newspaper, The Telegraph, has released a digital version of itself for the iPad - which is available now for free! 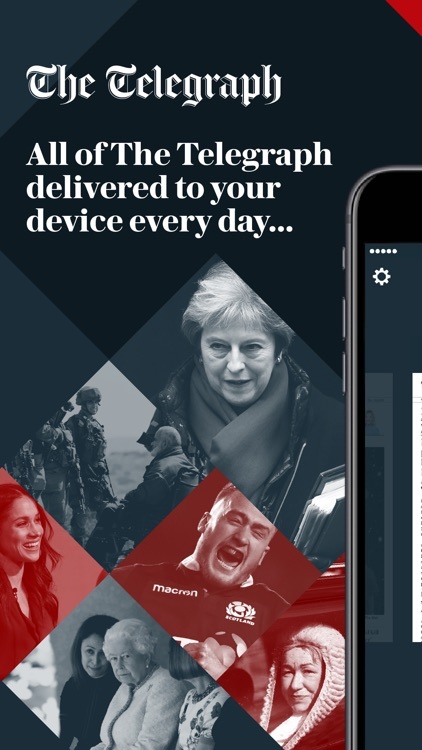 If you're a fan of the newspaper, be sure to check out the app as soon as possible, before it's hit with a price tag!